Our dispatcher will call you the day before the scheduled delivery date to give you an hour and a half time frame. Please call the store where the purchase was made to change delivery date. Gardner Mattress offers a 90 day trial period from the date of delivery on all standard size mattresses and box springs. We do recommend that a minimum of 7 days before deciding to exchange as an adjustment period should be expected. The customer is responsible for an additional delivery charge, the difference in price and any and all applicable taxes. Law tags must remain on the merchandise and must be free of of any tears, burns, and stains to qualify for this service. Comfort exchanges are not available on Custom pieces, adjustable bases, salesroom samples, specials and close outs. Limit of one comfort exchange per customer. We do offer a full refund less delivery charge, with an additional delivery charge to pick up merchandise on purchases of standard sized goods that are not satisfactory. This refund is only valid through the trial period of 90 days. All accessories and custom goods including but not limited to; custom mattresses, custom box springs, foundations and platforms, adjustable bases, pillows, mattress pads, out of box frames, etc., are final. and not eligible or refund. 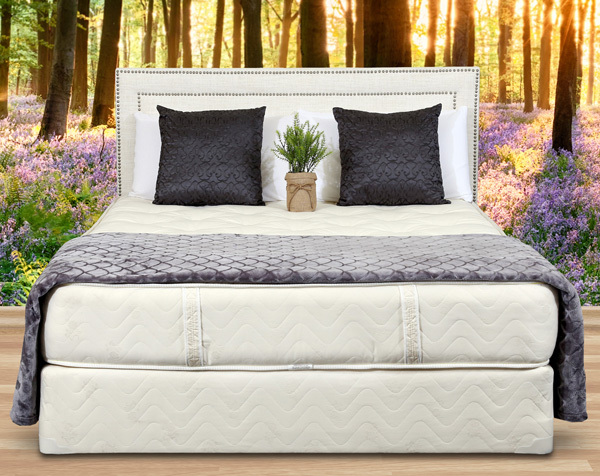 Gardner’s Latex, Tufted, Quilted, Pocket Coils and Foams, sold as sets or that are being used with a platform bed are warranted against material and craftsmanship defects for a period of 10 years from the original delivery date. The Sojourn and V-Firm lines are only warranted for a period of 5 years under the same conditions. This does not mean that the mattresses will never show any wear. Up to a one inch impression could happen especially to one sided more cushioned products and is not a defect. Slight body impressions are not a sign of a defective mattress especially on those with softer cushioning built into the surface. Padded mattresses could settle up to one inch as softer materials are prone to some settling. We recommend that our two sided mattresses be either flipped or rotated every three months for the first two years and every six months after that to ensure proper wear. A matching box spring or foundation must be purchased unless a well supported platform bed is being used. The frames used to support the box spring must have center legs for any size larger than a twin to be effective. Center support is essential. Without center support expect the box spring and or foundation to sag and that impression to show up in the mattress. Again all law tags on both pieces must be in tact and pieces must be free of any tears, burns, stains of any kind for any service to be done on the merchandise.